Today’s card I’ll be giving to my mum next Sunday for Mother’s Day. She’s about to start her next round of chemotherapy for pancreatic cancer with secondary liver cancer. It has been 12 months since her diagnosis and surgery and we are now accepting of this being her way of life. Treatment and non-treatment. We are hopeful that one day research may catch up and be able to rid her of this disease but in the interim we are living life with cancer and making memories. My mum is a strong woman and my inspiration for how I raise my daughter, Miss K, to be strong and resilient. I used a stamp set from Altenew called “Garden Treasure” for the flower and the sentiment is from MFT called “Mothers”. 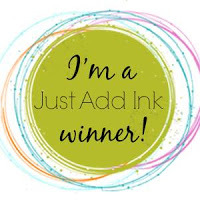 I used Stampin Up inks in Pear Pizzazz, Granny Apple Green, Mossy Meadow, Highland Heather, Gorgeous Grape, Fresh Fig and Black. I hope she’ll like it. Thanks for looking and have a great weekend.